Almost a year after the Rams moved to LA, the Chargers are reportedly following suit. Owner Dean Spanos is apparently planning to hold a meeting to inform the staff about the move today. This will end a 55 year stint in San Diego and return them to their home turf. The Chargers played their first season in LA in 1960 before moving to San Diego in 1961. They ranked second-last in attendance this year, drawing an average of 57,024 spectators to their 70,000-plus-seat stadium in their eight home games. The Inglewood stadium is expected to open in 2019, so the Chargers will have to play their home games elsewhere for the next two seasons. 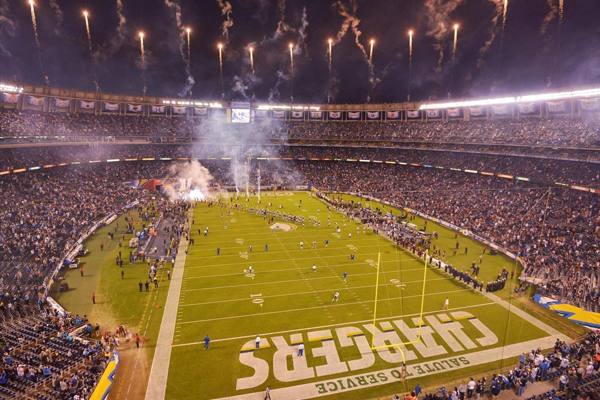 According to Ian Rapoport, the Chargers will play at the Stub Hub for the next 2 years. The Stub Hub is a only a 30,000 seat stadium. You can expect an official announcement by early this afternoon.